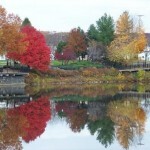 Allegan County is like a patchwork quilt of farms, forests, shorelines, unique and quaint little towns, orchards, and industrial parks. Our large and eclectic county is nestled in between Holland, Grand Rapids, and Kalamazoo and is only 3 hours from Detroit and Chicago giving Allegan County tremendous potential as a destination location! 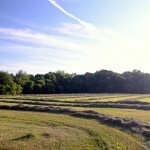 Our county is so blessed to possess many wonderful attractions such as our farms and farm markets. Farms that bring people in from Chicago just to purchase apples, peaches, blueberries and value added products freshly made. We also have airports, a new casino that will bring in numerous new faces to our county, lakes, rivers, snowmobile trails, hiking and horseback riding trails, an amazing county fair, a large motorsports park, golf courses, arts and culture, and the only agri-tourism trail in Southwest Michigan. The residents of Allegan County value our farmlands and work hard to preserve them. We value our heritage and culture, our forests, our water, and our towns. 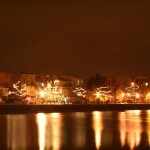 Nestled in the middle or our county is the City of Allegan, our County Seat and the heart of our area. Allegan offers wonder opportunities for entrepreneurs and industrial growth. Allegan’s Highland Industrial Park stretches 90 acres and is home to a series of businesses, including Perrigo’s Logistics Center. Founded in 1887, the Perrigo Company is one of Allegan’s oldest companies and remains one the town’s largest employers. It has become the world’s largest manufacturer of over-the-counter pharmaceutical products for the store brand markets. The industrial park provides first-class building sites, varying in size, for a variety of industrial and business uses. It has full service city water and sewer access. Lots are available for $1.00 providing a company meets specific requirements. Allegan’s Highland Park is a state-certified industrial park. In addition, Highland Park also offers easy access to major highways and interstate expressways, financial assistance and incentives and immediate access to a general utility airport. Allegan’s airport, Padgham Field, is within 40 minutes of regional airports in Grand Rapids and Kalamazoo. Padgham Field has recently completed a $ million improvement project that expands the airport’s runway to 4,300 linear feet. The facility is now able to accommodate individuals and companies with larger private aircraft. In addition to Perrigo, the city is home to many other large employers, which include Allegan Metal Finishing Company, Allegan General Hospital, Ropes Courses, Allegan Tubular, and the Allegan Public Schools.